All this case shows is that judges do not work from the proper laws based upon the Magna Carta - they work from their own agenda - that's totally corrupt!!...ed. A man who tried to use ancient laws to justify avoiding more than £7,000 in council tax payments has been jailed. Mark McKenzie described himself as a "freeman on the land" and suggested people were only subject to English laws if they consent to them. But Manchester City Council said his claims were "pseudo-legal mumbo jumbo". The 54-year-old, of Moss Side, Manchester, has been sentenced to 40 days in prison for wilful refusal to pay council tax. He was also sentenced to an additional 14 days for non-payment of fines, to be served consecutively. Manchester Magistrates Court heard McKenzie had failed to make payments since October 2010, while living at a home in Parkside Road. He was summoned to the court in 2015 over the matter, and sentenced to one night in custody for contempt of court after trying to record the proceedings. His then failed to attend court before finally surrendering on Monday. 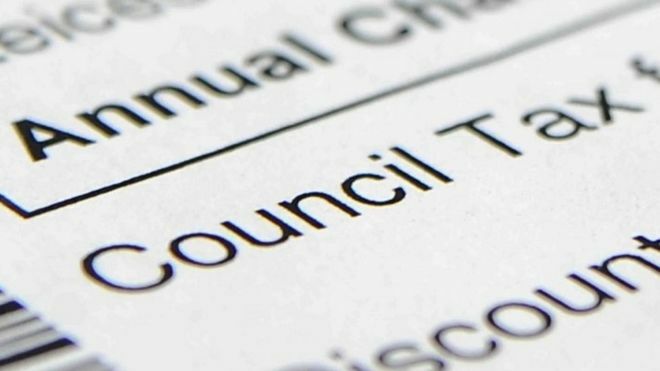 John Flanagan, the council's executive member for finance, said it was an "urban myth" that archaic laws mean people can avoid council tax. "It's pseudo-legal mumbo jumbo, and this case shows that people won't get away with it," he said. "Council tax helps fund a wide range of vital services, from roads, parks, and leisure centres to social care, and payment is not optional."